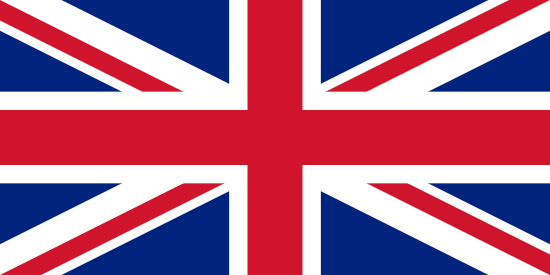 Put together one very run-down house, a deserving family, several opinionated designers, seven days and what do you get? The answer is Extreme Makeover: Home Edition. The show has won two Emmy Awards for Outstanding Reality Program, plus two People’s Choice Awards and the Family Television Award for Best Alternative/Reality Program. 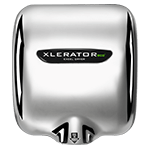 Two of the projects featured in 2008 included brand new XLERATOR hand dryers! On Sunday, November 11th, viewers saw Ty and the Extreme Makeover: Home Edition build team head to Missouri to help Sam Malek. The Cerebral Palsy-afflicted owner of local fixture Sam’s Coffee Shop received a complete Shop makeover – including high speed, energy efficient XLERATOR Hand Dryers in the restrooms. On Sunday, March 16th, viewers of Extreme Makeover: Home Edition met the Boettcher family of Silver Springs, NV. The father, a small town youth minister, needed help developing a facility for his ministry, which he operates right in his family’s backyard. His dream became a reality with the help of show host Ty Pennington, the Extreme Makeover: Home Edition build team, and the products and building materials donated to the show. 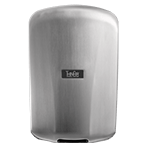 Among those products is the XLERATOR, a high-speed hand dryer well known by public restroom users around the globe for completely drying hands in 10 to 15 seconds. 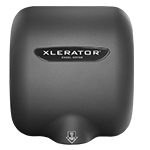 The new youth ministry restrooms contain XLERATOR hand dryers, saving time and money for the Boettcher family while keeping their restrooms environmentally friendly and easy to maintain.